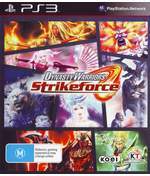 Koei's latest action strategy game has come to pass with Dynasty Warriors: Strikeforce now available on the PS3 and XBox 360. Loosely based on the PSP game of the same name, Dynasty Warriors: Strikeforce is definitely a step in the right direction and away from ad nauseam. Over the years, the franchise has become a little stagnant but with the inclusion of RPG fundamentals such as levelling, weapon building and even aerial combat, it provides the added boost needed for the gameplay. As a result it creates a much more in-depth gaming experience than just a hack ‘n slash experience with just lacklustre “squad” based mechanics. Needless to say, this is what the franchise has required to create a truly unique next-generation gaming experience and definitely a left out of centre game for Koei. 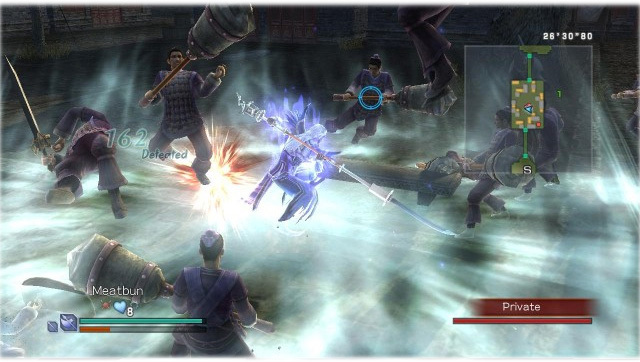 The story revolves around the popular Chinese story of the Romance of the Three Kingdoms that has the player fighting for either the Wu, Shu and Wei Kingdoms. Once you have selected your kingdom, this will dictate the direction of the story, although all stories are linked. There is even a surprise about the "Kingdoms" that we don't want to spoil as well. Needless to say, this definitely adds replay value for the player and the for this review, we finished the game as the Wu Kingdom and and we are currently half way through the the Wei kingdom game. With over 40 characters to choose from, the choice is quite difficult at first as each has their own unique pros and cons but thanks to the RPG aspect, it does give you some chance for change. Like the game Monster Hunter, the central point of Strikeforce is your village that allows you to purchase items, level-up and embark on the various missions for example. Even the way the missions are setup in Strikeforce via a message board, it's is oozing with RPG references, especially when it comes to options. At the local academy, you can upgrade your fury and musou "magicks" before embarking on your missions. It's fun unleashing fury for the first time as your character transforms into a superpower that not only increases their stats but also their musou power. 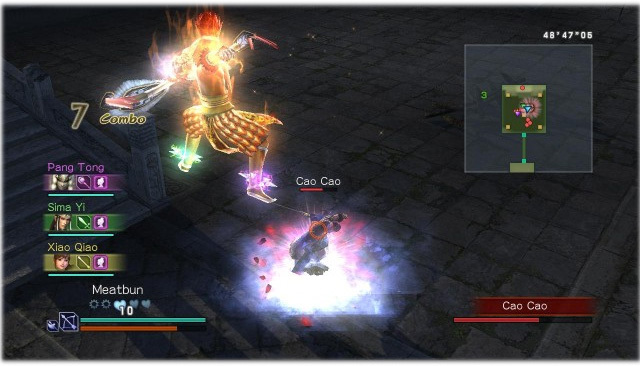 Chi is another power that can be setup in the town to add additional bonuses to your character as they carry these bonuses on their hands and feet. Creating new weapons at the blacksmith is also a fun activity during the downtime in the village. Weapons, armour also adds bonuses to your attacks and defences, just like all good RPG titles. In terms of missions, it is similar to previous games where you need to kill an almost unlimited number of enemies. In single-player, the game controls your three other officers from movement to battles, however it does offer some basic squad mechanics such as defend or attack to point them in the right direction. It may seem like the same old thing but with the tweaked gameplay, it does make the franchise more playable and gives you more options in completing in felling your foes. As you level up your stats and use the magic "Fury" to make you super powerful for short amounts of time, it's almost like watching a Hong Kong martial arts movie and the aerial combat is quite fun. For example, you can jump in the air (quite high at times) and do some outrageous combination attacks. The difficulty level of the game may however scare a few players away as it's quite challenging as you progress and sometimes your AI companions are a little slow. The controls of the game are well mapped on the DualShock controller as you use the analog sticks and buttons to navigate this 3D world and if you’re familiar with previous games from the series, nothing has really changed in terms of control. Newcomers can also pick up the controller and start playing without too many hassles. Just be warned that your fingers may get a little tired as you kill enemy after enemy, into the hundreds and thousands eventually! The other new addition is the ability to play online which is quite fun as it gives you a mini RPG experience online of co-op or versus. Even though it’s no way as in-depth as World of Warcraft for instance, it does offer for a more personal play experience, albeit a short one, especially if you're meeting your friends online. 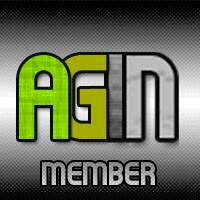 Logging on and setting up a mission with three other players is easy, however lag is ultimately the dreaded beast. 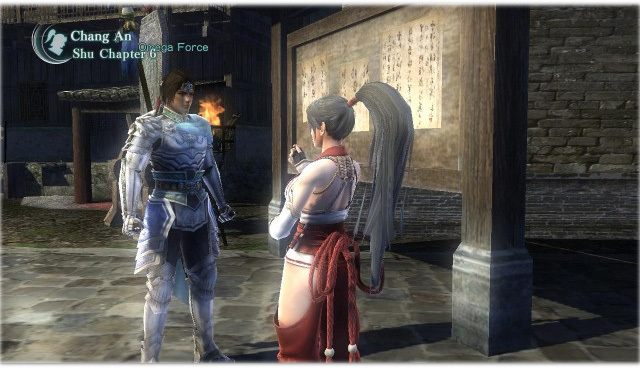 Graphically, Dynasty Warriors: Strikeforce is easily one of the nicest looking games of the series and is not just a rehash of the old engine as there are some big changes to the franchise in terms of details. All the characters are well animated and move quite realistic but the attention to detail of their faces, body and armour is visually quite good, very Koei but quite good. Even when the action heat up, the gaming engine manages to keep up... most times. The backgrounds are still a little lacking which is a shame. In terms of voice acting... cheesy Capcom style of speech! Suits the game as does the music. At the end of the day, Dynasty Warriors: Strikeforce is taking the franchise in the right direction and it's good to see Koei get out of their comfort zone. Even though at times, the action is quite repetitive, the RPG elements does add a new twist to the game which we enjoyed. 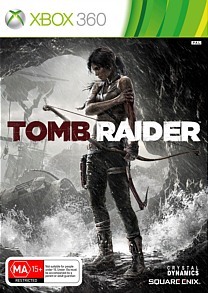 Definitely a game for lovers of the franchise or even newcomers who are interested in what all the fuss is about. The graphics do look a little dated, however from where it has come, the improvements are noticeable and sometimes it's great to just zone out and kill a few hundred people.